Visit The Lamb on July 1st! 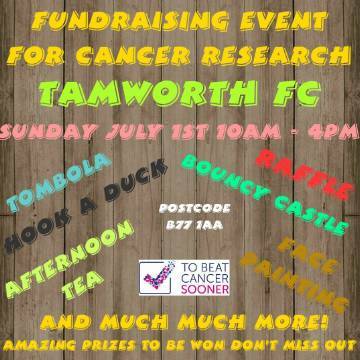 There will be a fund raising event at The Lamb on Sunday 1st July in aid of Cancer Research. It will take place in the The Sponsors Suite and the car park from 10am to 4pm.